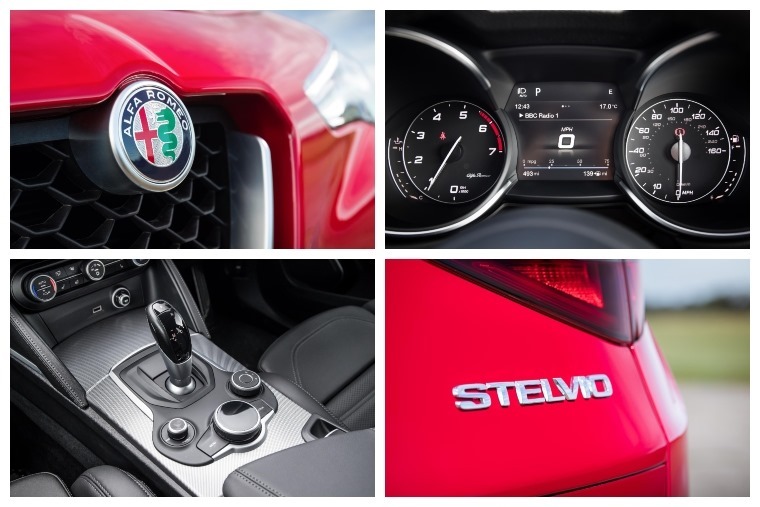 Despite a few niggles, the Stelvio proves itself to be quicker, thriftier and sportier than many of its rivals, and includes a load of style that many others miss out on too. It’s a struggle to find a manufacturer that doesn’t make an SUV these days. Once the likes of Rolls-Royce has admitted defeat and announced the Cullinan, nobody is safe. You might have thought the Italians would hold out a little longer, but Maserati has the Levante and even Lamborghini is promising to bring a performance SUV called Urus to the market. Behaves better on more interesting roads than most of its competitors. There’s the promise of a fire-breathing Quadrifoglio version coming next year, but for now we’re in the 2.2-litre diesel that pumps out a purposeful 207bhp. It’s an unusually light engine, and that contributes to a total weight of around 1.6 tonnes, despite having all the premium accoutrements you’d expect in a car of this ilk including four-wheel drive. It’s an accomplished motorway cruiser, albeit one that’s not quite as refined as you might hope for; there’s a fair degree of tyre roar from the optional 19in wheels, and more wind noise than you might expect. That diesel engine never fully quietens down, either, although it’s by no means distractingly loud. The ride doesn’t exactly settle either, with those continuous road imperfections niggling away all the time, but the payoff is a chassis that behaves better on more interesting roads than most of its competitors. Even with the four-wheel drive system in place all the power is sent to the rear wheels, with up to 50% of drive only going to the front wheels when things get sketchy. 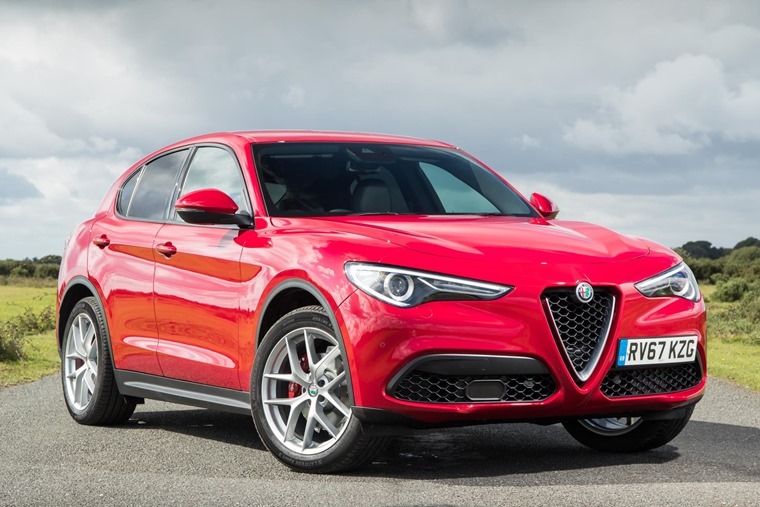 It keeps understeer under control nicely, and makes the Stelvio feel unusually planted in corners. There’s an odd sensation to the steering that takes some getting used to, but the quick ratio makes flicking directions easy and decisive. The fundamentals of the interior design are spot on. The same can’t be said of the brakes though. There’s plenty of stopping power, but the brake-by-wire system is inconsistent and doesn’t always provide a predictable amount of brake force. Lightly skim the brakes to knock a few clicks off at speed and there’s an initial bite as you’d expect, but after a short time the force increases, slowing the car down more rapidly than anticipated. There’s no reason to panic, you’re never left in any doubt that the car will stop, but it’s something that needs ironing out. 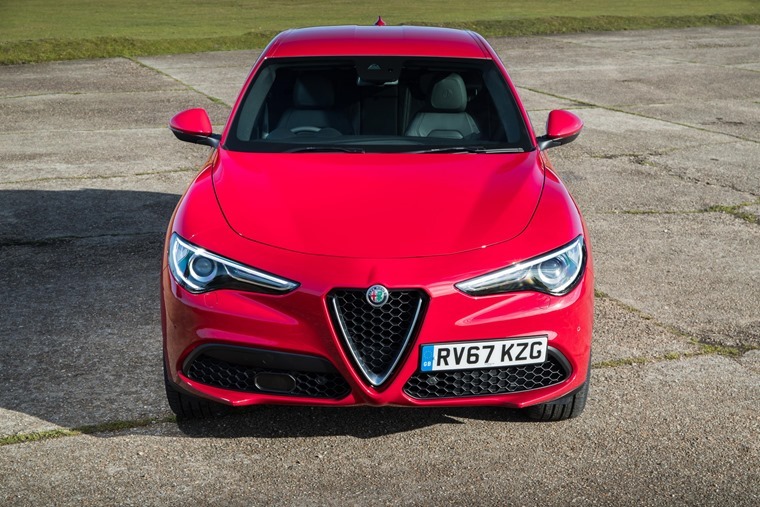 [The Stelvio is] quicker, thriftier, sportier and cheaper than many of its rivals, and includes a load of style that many others miss out on. While Alfa’s at it, it would be good if they could look at some of the interior plastics. 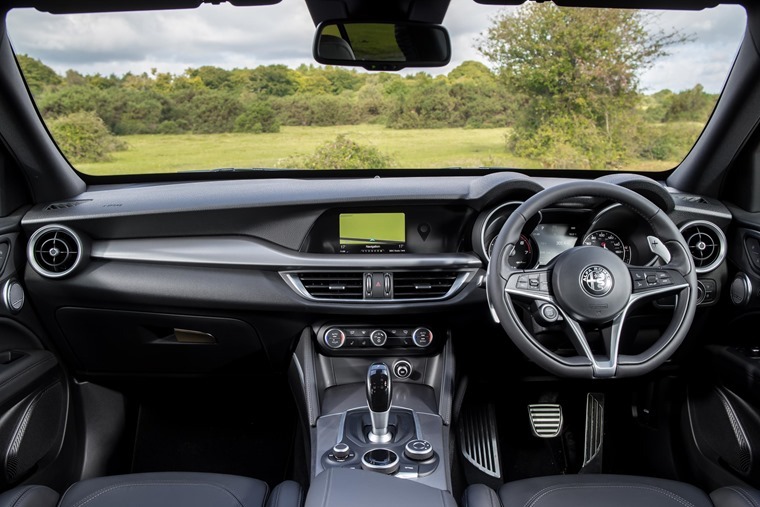 The fundamentals of the interior design are spot on, with a wider, flatter dashboard structure than the Stelvio’s sportier Giulia cousin. There’s clear and emotive instruments directly in front of the driver, with a stylish dashboard and centre stack alongside. However, while there’s real wood and some lovely leather around the cabin, the bare plastic areas feel cheap and flimsy. That’s a shame for a premium model, especially when the cost to upgrade would be a matter of pence per car. There’s plenty of equipment in there though, with a good touchscreen infotainment centre, navigation, climate control, and a powered tailgate that operates with a wave of the leg under the rear bumper. There’s also a decent sized boot behind that tailgate, and the Stelvio is amongst the more spacious cars on the market. It’s also reasonably good value, which goes some way to mitigating the minor problems in the car. This test model, once the options have been removed, will cost cash buyers £38,490, which undercuts the likes of the Jaguar F-Pace and BMW X3. The Italian model is also lighter and more frugal than those rivals, promising 58.9mpg and a tax-friendly 127g/km of CO2. The Audi Q5 sits closest in terms of price and economy, but can’t match the Stelvio for pace. 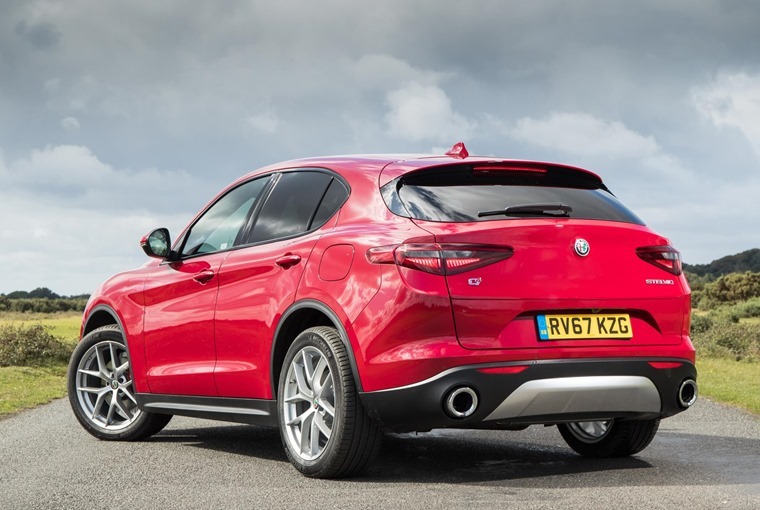 It leaves the Stelvio in a little bit of empty space, where it’s quicker, thriftier, sportier and cheaper than many of its rivals, and includes a load of style that many others miss out on. The forthcoming DS 7 Crossback is likely to provide a more sumptuous offering with equal amounts of fashion following, but for those that want the practicality and commanding driving position of an SUV without sacrificing too much in terms of driving, the Stelvio ticks a lot of boxes.